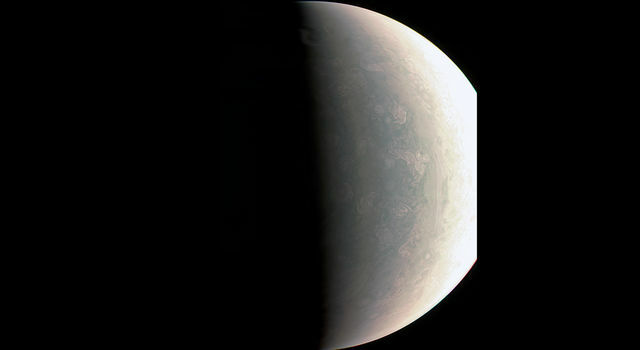 NASA's Juno spacecraft has sent back the first-ever images of Jupiter's north pole, taken during the spacecraft's first flyby of the planet with its instruments switched on. The images show storm systems and weather activity unlike anything previously seen on any of our solar system's gas-giant planets. Juno successfully executed the first of 36 orbital flybys on Aug. 27 when the spacecraft came about 2,500 miles (4,200 kilometers) above Jupiter's swirling clouds. The download of six megabytes of data collected during the six-hour transit, from above Jupiter's north pole to below its south pole, took one-and-a-half days. 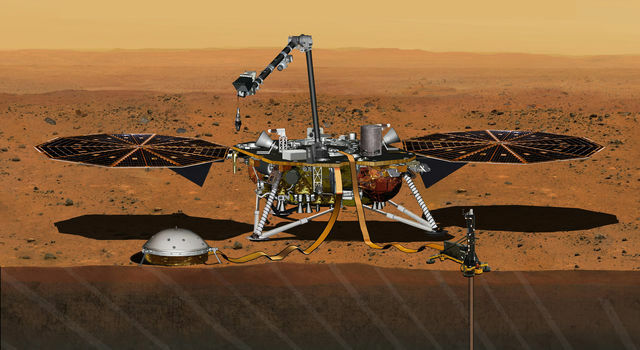 While analysis of this first data collection is ongoing, some unique discoveries have already made themselves visible. 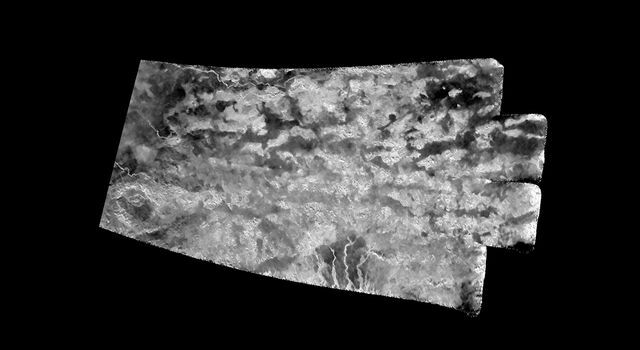 "First glimpse of Jupiter's north pole, and it looks like nothing we have seen or imagined before," said Scott Bolton, principal investigator of Juno from the Southwest Research Institute in San Antonio. 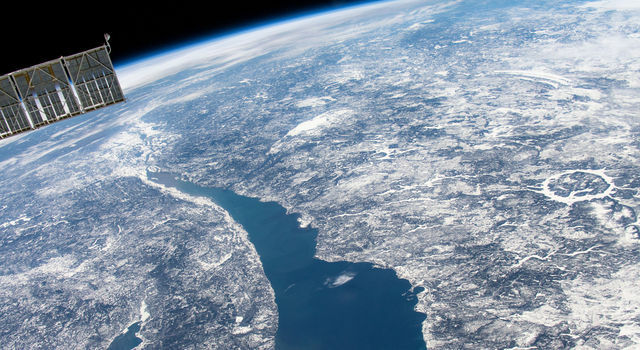 "It's bluer in color up there than other parts of the planet, and there are a lot of storms. There is no sign of the latitudinal bands or zone and belts that we are used to -- this image is hardly recognizable as Jupiter. We're seeing signs that the clouds have shadows, possibly indicating that the clouds are at a higher altitude than other features." 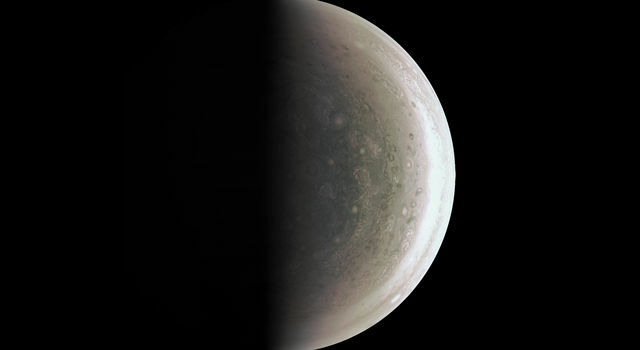 One of the most notable findings of these first-ever pictures of Jupiter's north and south poles is something that the JunoCam imager did not see. "Saturn has a hexagon at the north pole," said Bolton. "There is nothing on Jupiter that anywhere near resembles that. The largest planet in our solar system is truly unique. 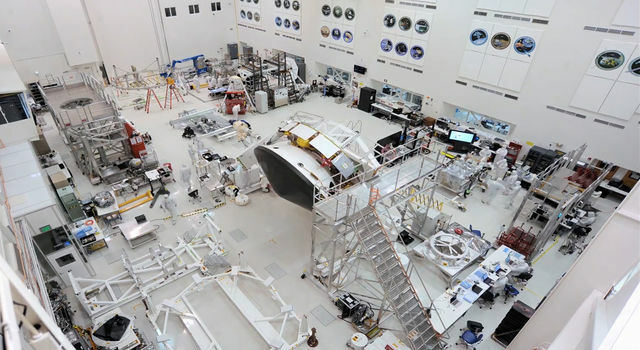 We have 36 more flybys to study just how unique it really is." 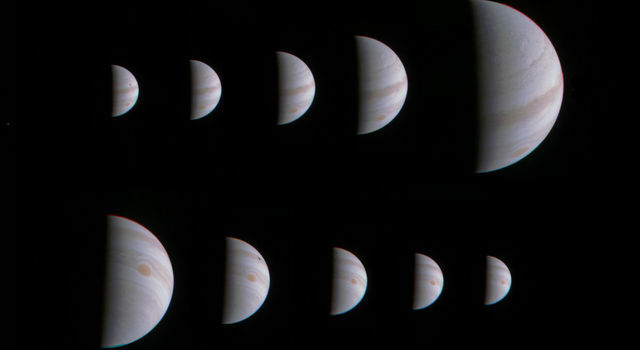 Along with JunoCam snapping pictures during the flyby, all eight of Juno's science instruments were energized and collecting data. 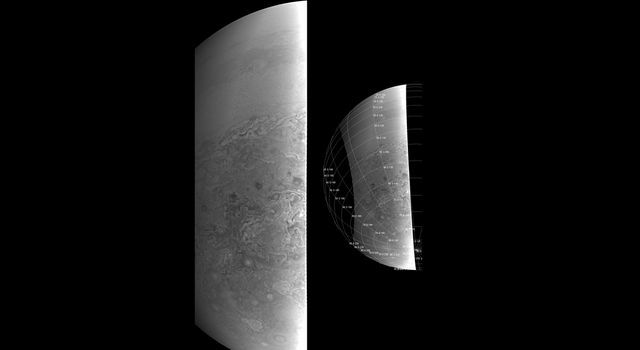 The Jovian Infrared Auroral Mapper (JI-RAM), supplied by the Italian Space Agency, acquired some remarkable images of Jupiter at its north and south polar regions in infrared wavelengths. "JIRAM is getting under Jupiter's skin, giving us our first infrared close-ups of the planet," said Alberto Adriani, JIRAM co-investigator from Istituto di Astrofisica e Planetologia Spaziali, Rome. "These first infrared views of Jupiter's north and south poles are revealing warm and hot spots that have never been seen before. 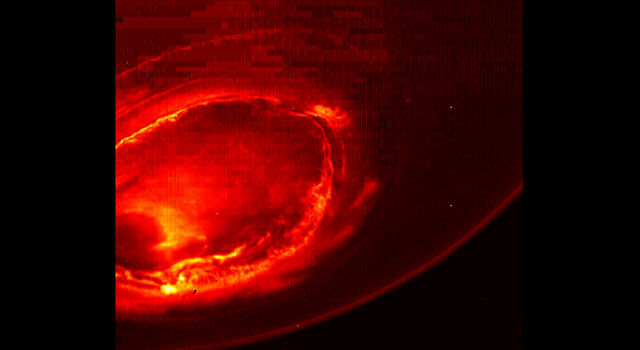 And while we knew that the first ever infrared views of Jupiter's south pole could reveal the planet's southern aurora, we were amazed to see it for the first time. No other instruments, both from Earth or space, have been able to see the southern aurora. Now, with JIRAM, we see that it appears to be very bright and well structured. The high level of detail in the images will tell us more about the aurora's morphology and dynamics." 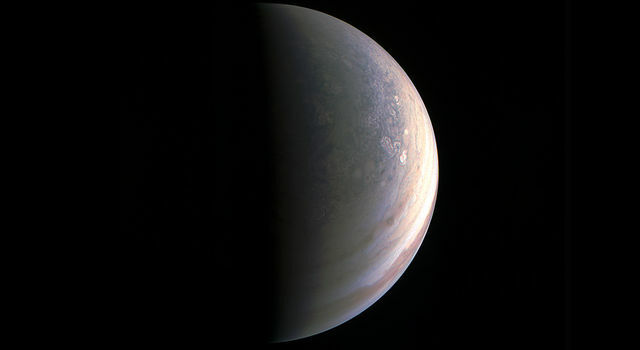 Among the more unique data sets collected by Juno during its first scientific sweep by Jupiter was that acquired by the mission's Radio/Plasma Wave Experiment (Waves), which recorded ghostly- sounding transmissions emanating from above the planet. These radio emissions from Jupiter have been known about since the 1950s but had never been analyzed from such a close vantage point. "Jupiter is talking to us in a way only gas-giant worlds can," said Bill Kurth, co-investigator for the Waves instrument from the University of Iowa, Iowa City. "Waves detected the signature emissions of the energetic particles that generate the massive auroras which encircle Jupiter's north pole. These emissions are the strongest in the solar system. 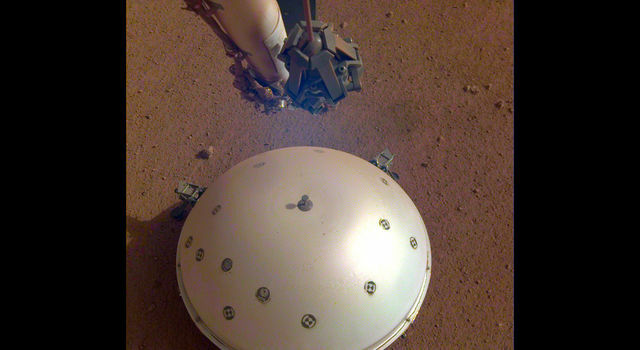 Now we are going to try to figure out where the electrons come from that are generating them."